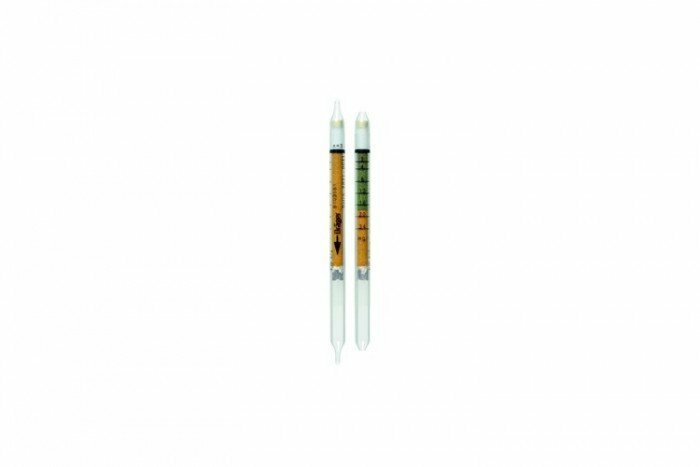 These short-term detection tubes from Drager are for Hydrocarbons 2. They have a measurement range of 2 to 23 mg/l and detect a range of substances including Aliphatic Hydrocarbons - (Btp 50-200oC). The information regarding cross sensitivity only applies for measurements with a maximum of 3 strokes. Paraffinic and aromatic hydrocarbons are indicated as a whole. Differentiation is not possible. Aromatic hydrocarbons (benzene, toluene) are also displayed. Their concentration in the mixture should not exceed 20%. There is no fault caused on the display by < 1000 ppm CO.
A maximum of 15 strokes within 1 hour can be performed for leakage measurements (qualitative measurements).